Give your logistics business the competitive advantage with OnTime Mobile. Instead of purchasing specialized devices and training your staff to use them, you can capitalize on your investment in your existing equipment. OnTime Mobile is compatible with virtually any internet enabled mobile device, so you save money and workers already know how to use the equipment. OnTime Mobile Web supports all modern smartphones and tablets. Tested platforms include iOS (iPhone, iPod Touch, and iPad), Android, Windows RT, Amazon Kindle, and more. The interface features a clean design with large buttons that make single handed operation possible. Many smartphones and tablets support OnTime's requirements for GPS and digital signature capture. 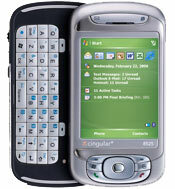 Commercial grade mobile devices, such as the Motorola ES400, often support Windows Mobile. These devices tend to be rugged and hold up well under heavy use. They also may include additional features, such as bar code scanners, not found in consumer grade devices. OnTime can run online and offline, which is ideal for unpredictable cellular connections and mobile devices without internet. 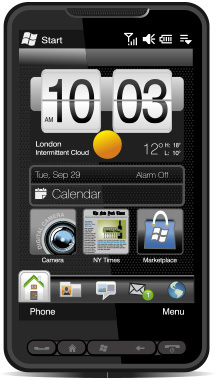 Devices running BlackBerry OS 5 or higher are compatible with the OnTime Mobile for BlackBerry application. This application adds useful features to your OnTime experience, such as tracking GPS position while the OnTime Mobile program is running in the background. You can download OnTime Mobile for BlackBerry from our web site, free of charge. Virtually every cell phone on the market today supports WAP, allowing internet access from the phone. OnTime Mobile supports the 10 major variations of WAP employed in cell phones today, including those used in Asia and Europe. You can count on OnTime Mobile to work with any WAP enabled device. Pagers have limited capabilities, but OnTime can still push out notifications and messages to them. OnTime Mobile supports SMS text messaging; that same feature can be used to send messages to pagers. With two-way pagers, we recommend that dispatchers have confirmation notifications sent to an accessible email address to check that the pagers receive messages from OnTime. Apple, Mac, iPad, and iPhone are trademarks of Apple Inc., registered in the U.S. and other countries. Android is a trademark of Google, Inc. Other trademarks and brands are the property of their respective owners. Thanks for working hard with everything you do to help make improvements to this system for us and the hundreds of other courier companies out there. It’s people like you with a company like On Time that really make a difference and show that you really do care about the product and with retaining existing customers. The customer support and the fact that you guys stand behind your product is just unbelievable.